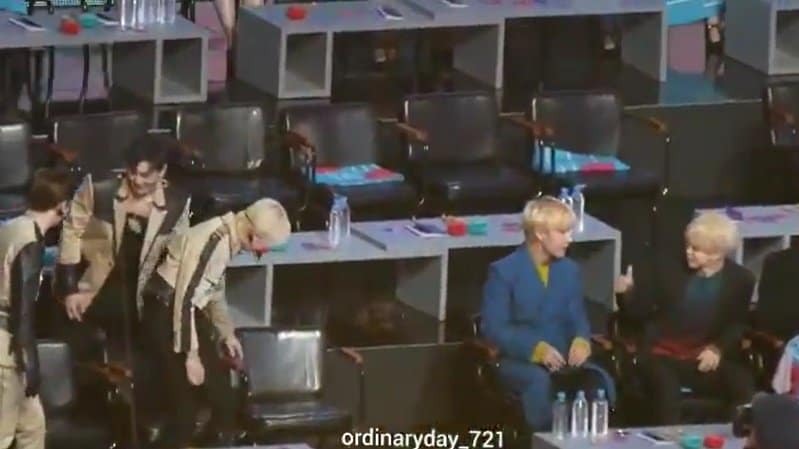 BTS V brought a chair to NU’EST W.
The 33rd Golden Disc Awards ceremony was held at Gocheok Sky Dome in Seoul on the 6th. 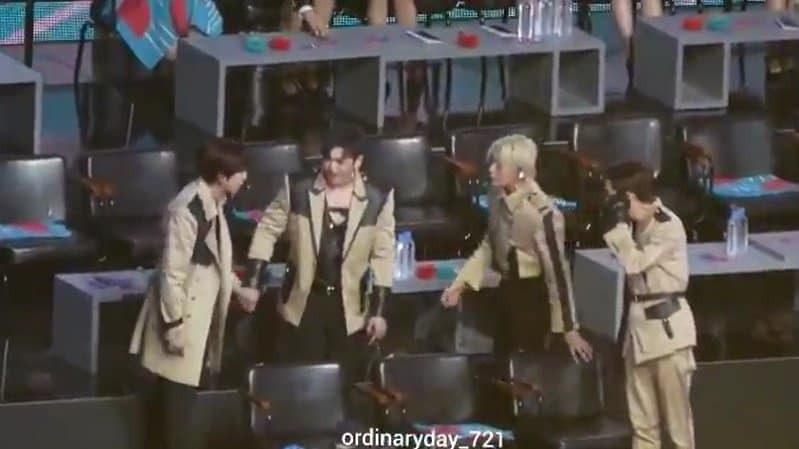 After finishing the stage, NU’EST W came back to the singers’ seat to find that there were only three chairs in their area. 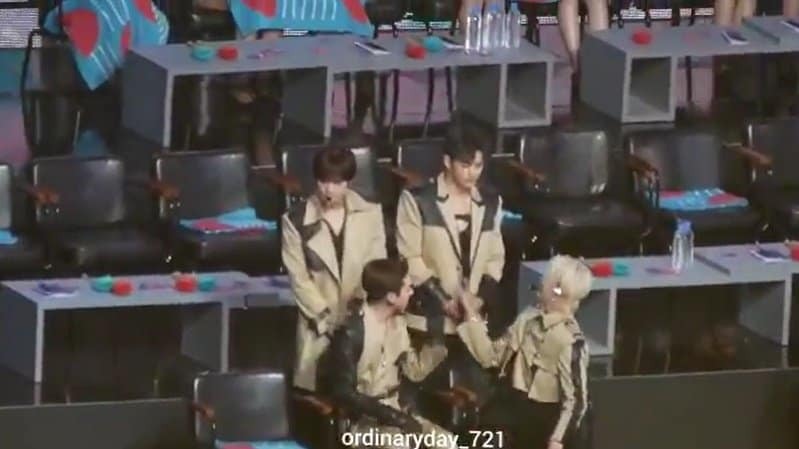 After a short discuss, NU’EST W decided that Aron and Ren would sit while JR and Baekho stood. V went to the back and brought them a spare chair. His manners and sensibility were outstanding. 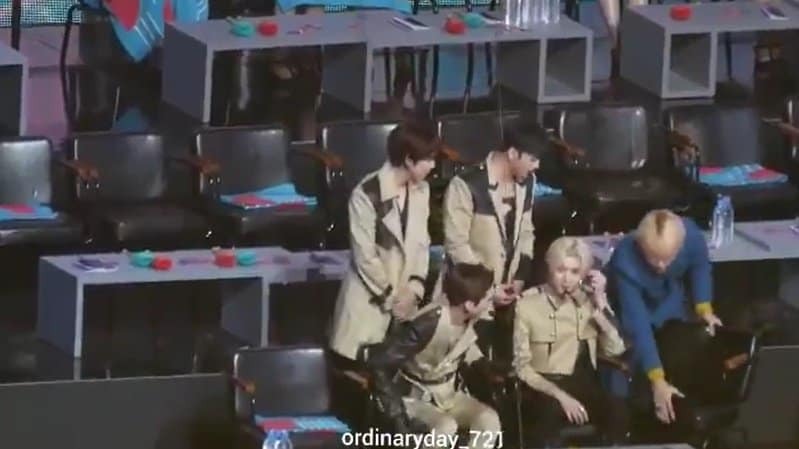 NU’EST W thanked him and V came back to his seat. Jimin lifted his thumb when he saw V’s behavior. Thanks to V, NU’EST W was able to sit side by side.